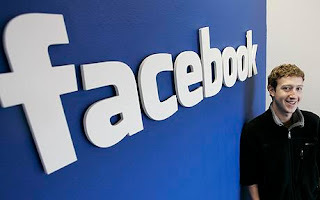 start learning something new here: Facebook turns 8.. happy b'day fb..
Facebook turns 8.. happy b'day fb.. Eight years ago this week, Facebook was born. Do you even remember life before it? Once known as “TheFacebook” when it launched on Feb. 4, 2004, the site will turn eight years old on Saturday. It’s expected to celebrate its birthday week with the filing of an initial public offering, which could value the company at around $100 billion. The move would make the social network about four times the value of Google at the time it went public in 2004 with a valuation at $23 billion the day after. The site has come a long way since it launched in Mark Zuckerberg’s dorm room. First limited to just Harvard University undergrads, the site later opened up to other schools and raked in about 5 million members in just two years. Now, it boasts more than 800 million users worldwide — or 40% of all Internet users — and is on track to reach 1 billion members by August. Behind Google, it’s the number one most-visited site worldwide. Facebook caught the attention of investors since its beginnings, but declined bids from various companies from NBC and the Washington Post Group to MySpace and Viacom. In 2008, Zuckerberg was reportedly in talks with Yahoo for a potential sale, but he turned down an offer for $1.6 billion, saying the bid was too low. Four years later, the company could be worth nearly 100 times that number. Where do you think Facebook will be in the next 10 years? Do you think it has more long-term staying power? Let us know your thoughts in the comments.